Bracelet Mangalsutra is the new trend which has mushroomed after few celebs were seen wearing it. 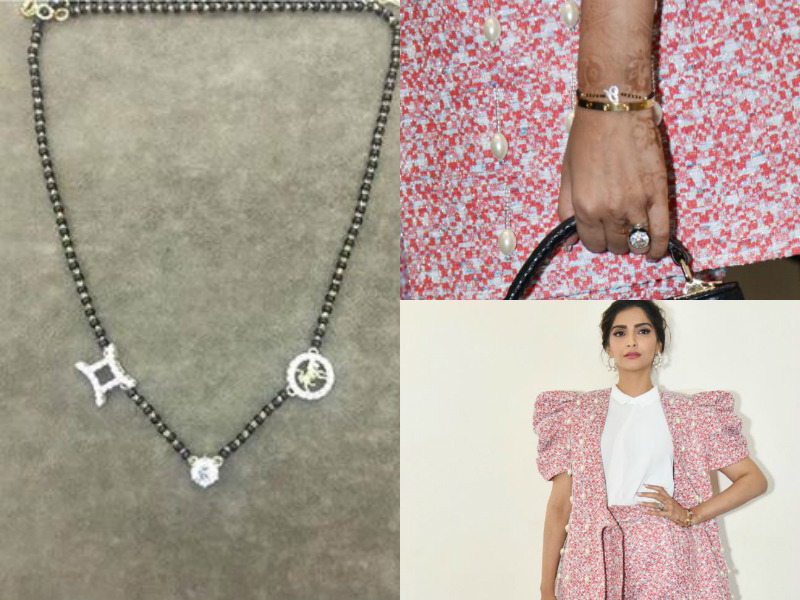 Though the traditional and authentic style is to wear it around the neck but recently we saw few celebs wearing it around the wrist, which we would say is a modern take on this traditional jewelry. 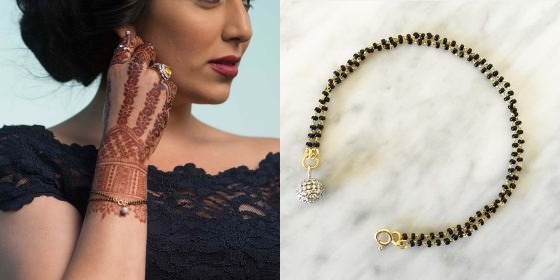 And therefore wearing Mangalsutra in a traditional chain style is a thing of past, because here is a new trend which allows you to flaunt your Mangalsutra in a bracelet style. Here are few design variations which you can pick for yourself if you too wish to try it…..
– Recently Shilpa Shetty Kundra and the newly wed Sonam Kapoor Ahuja were seen wearing these pieces and therefore we bring to you a detailed version of this style which will help all the bride‘s to be to choose their pick. – This piece with a double string and a delicate diamond ball is an apt thing for those who want to keep it simple. 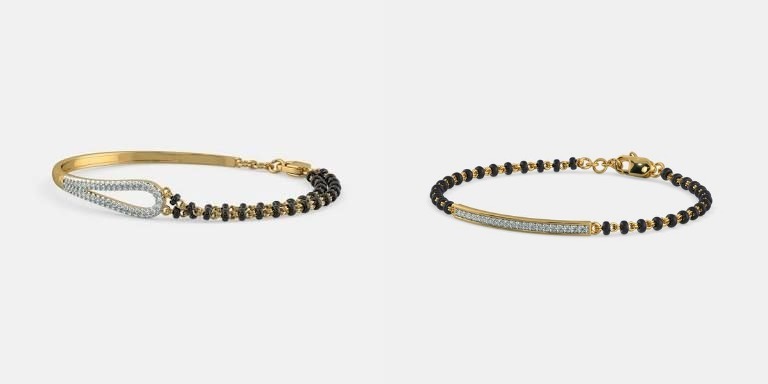 – The half half style for those who want to have a good amount of gold dose in their bracelet, along with the black beads of Mangalsutra. – Pendent style bracelets look good too and are a perfect miniature replica of the traditional Mangalsutra designs. 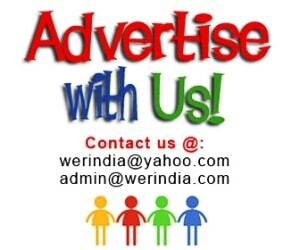 – And if you want your Mangalsutra to be in solitaire then your bracelet can have that too. It can either be attached in a charm style or can be inbuilt in a pendent style. – Every girl loves charms and when its a part of the bracelet, it makes it look super cool and feminine. You can pick up from different variations like the simple single charm bracelet and the multiple charm ones. The extended length ones look excellent too. 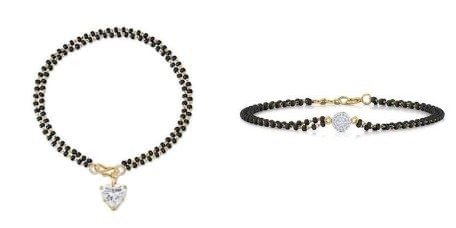 – The traditional authentic design with a mix of black and gold beads for the ones who want an authentic piece. – The addition of a chain string gives an interesting twist to the black beads. I look forward to getting this blog updated. We’ve updated the credits to your source below the image, please have a look.